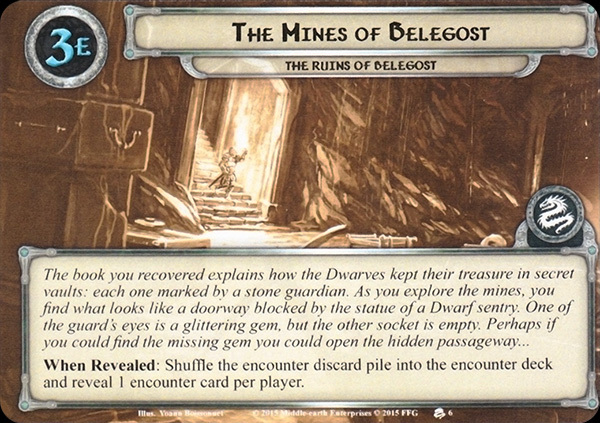 When Revealed: Shuffle the encounter discard pile into the encounter deck and reveal 1 encounter card per player. During the travel phase, the players must travel to a location, if able. Forced: After resolving the Discover keyword, if no Hazard card was revealed by that effect, reveal the top card of the encounter deck. 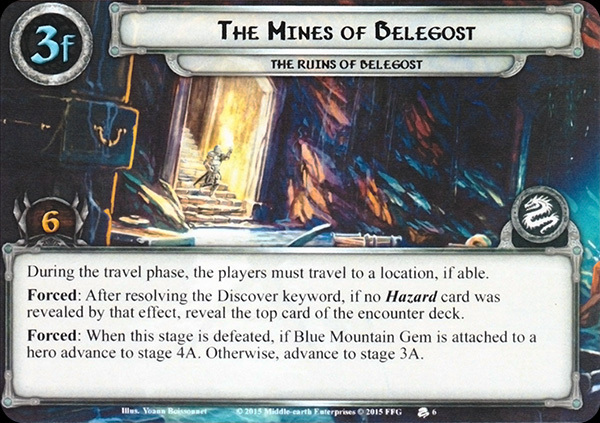 Forced: When this stage is defeated, if Blue Mountain Gem is attached to a hero advance to stage 4A. Otherwise, advance to stage 3A.